More info on Mame options for Linux. GroovyArcade the norm now? I have been out of the loop for a while and I have not built anything serious as of yet. Since I have been running Linux for a while now, I had always wanted to set up a cabinet based on a Linux system. But many issues along the way forced me to give up on it for a while. Well, I am back now to see what is new and happening. So it seems like GroovyArcade seems like the new way to go for Linux? I have been doing some reading up on it, but I will say that even though it has features for 15khz monitors, I intend on using a regular computer monitor anyway. Can it do that? It looks like you can use an install disc and you are good to go. Has anyone had any issues with it or is it a smooth install? I have older roms and I am curious if the Mame version can be changed as it is doubtful that the old roms would work in a new Mame version. I am curious if this could run on older P5 based computers as I have a few of those lying around. So I would like some input from anyone that has installed it on an older machine. Pretty much any hints and pointers I would appreciate. Re: More info on Mame options for Linux. GroovyArcade the norm now? Groovyarcade works with a normal monitor, i have just been playing around with it, but for now i keep my regular setup. For my cab i have set up Lubuntu, the emulators i want and Wahcade. The original Wahcade is a bit old and buggy, be sure to use Sairuks fork Mahcade, which is further developed. I ran into this problem already when trying it out on my main computer. For some reason Groovyarcade is looking for the MAIN monitor to be the arcade monitor. However my main computer monitor is on the VGA port, but the main monitor port is a DVI output. Thus I can't get it to work on my main machine. I am going to have to try to load it on another machine to try it out. Lubuntu seems like a good idea for an OS since it is lighter in weight. I too prefer Wah Cade over the ArcadeMenu for a front end. In Windows I been using Mala for the front end and really like that. Even though Hyperspin is awesome, it just uses too much power. So I still with Mala. Sadly there isn't a Mala alternative for Linux. I had used MameWah before Mala and that is the Windows version of Wah Cade. Check out attract mode and retrofe front ends for linux. Thanx for the info. But it seems like Attract Mode only has the source for Linux...unless you have Arch Linux. But it certainly looks like a nice front end. Source code and compiling isn't so bad. It can be a pain tracking down dependencies but you do learn a few things. Especially if it doesn't go right at first. But I believe attract mode is also on the latest groovy arcade disc. And retrofe has a 64 bit binary for Linux. Not so good with doing it that way. Hit and miss sometimes it works, sometimes it doesn't. I usually pefer .deb files as they unpack and install automatically. Really? I just downloaded and burned a Groovy Arcade disc about a week ago. It isn't on there. AdvMenu is on it as well as WahCade for front end work. Oh, so that wouldn't work then? I have a regular Intel i5 machine. I could of sworn I saw someone thanking calamity for putting attractmode on the latest groovy. did you get it from the official site or here? most CPU's from pentium D and newer support 64 bit. You just need to run a 64bit OS on them. The install is smooth. I recently wrote a how to which I'll put on the wiki soon for the install. 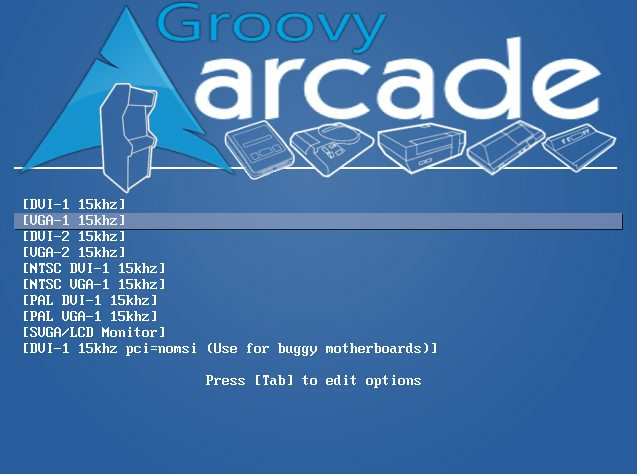 GroovyArcade is built on Arch Linux and is very light weight. It can boot of a USB drive or CD so you can test it for yourself without installing it. I'm hearing more and more about attract mode. Hopefully it can do more than hyper spin and its cross platform. Would people like attract mode included in groovyarcade? No I didn't get it from that site. At any rate, so far I have not tried out Groovy because my main computer has it's monitor on the secondary video port. The VGA output is the 2nd port and the DVI output is the primary port. So I have to try it on another machine when I get the chance. Oh, wait. Are you saying that I need a 64 bit machine / OS to run Groovy? As I mentioned to Nitrogen-Widget, Groovy doesn't like my main computer setup because my main monitor is on the secondary port and it is asking for the primary port of which I have nothing connected to. So I get a display error message. I have to try it on another machine where the VGA port is the primary port. I DO like the idea of it booting from a USB drive as I can set that to read only once it is set up and thus have a complete solid state system. Well, I will say that I DO like Hyperspin in terms of look and functionality, but what I don't like is that you need a modern machine to run it. As it is, I generally use my 'retired' computers for Mame. So far I been happy with Mala, BUT it is for Windows. As it stand I am trying to get away from using Windows. If there is a nice arcade looking FE for Linux then I would jump on using a Linux based OS in a heartbeat. As it is I like to use older systems because I have two older rom sets. I have .58 and .84. I have a partial on .100. But I stopped there as Mame is getting bigger and bigger to support the newer games. I have no interest in those. I am fine with the games from the 80's. If I'm reading the iso file correctly yes, x86_64 is 64 bit only. I could be wrong. He could intend that it supports 32-bit and 64-bit. At any rate, so far I have not tried out Groovy because my main computer has it's monitor on the secondary video port. The VGA output is the 2nd port and the DVI output is the primary port. So I have to try it on another machine when I get the chance. I'm not sure if I'm grasping your problem correctly, if not ignore this but couldn't you just unplug your monitor cable so your video card doesn't lock into that output/port? Have the only cable your using for your GroovyArcade monitor plugged in, boot GroovyArcadeboot, select the correct boot option? Or just do your selection for your desired output blindly using the picture below as a guide. If there is a nice arcade looking FE for Linux then I would jump on using a Linux based OS in a heartbeat. So far the consensus is Attract-Mode. There were some posts on this forum by Calamity and Ves on release notes for GroovyArcade. 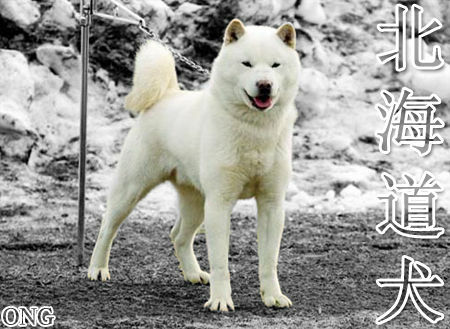 The one were interested in is New configuration files for Attract-Mode. After some digging around it does appear that Attract-Mode is included in GroovyArcade. It's just not in the gasetup menu. Here's a video of Attract-Mode in action. I think it looks great compared to what we usually get for Linux. I built a 64bit linux .ISO that boots up to attract mode and runs mame. 157 with no-nag & hiscore support plus GLSL. I actually built it on a 3ghz single core celeron D system with a radeon HD 4650 and it played the classics with crt shaders just fine. I didn't get a ton of feedback for it & I was just offering it up for people to check out. Those will handle Attract-mode decently as long as you don't try to get fancy with wheel art or CRT shaders. I'm using advmame .106 on those systems & it works well on 512 MB of ram if I boot it up to a minimal X environment. I can make that available when it's done also. Hopefully you don't mind me asking a few questions. I really think the community should come together and focus efforts on a Linux distro which I'm hoping GroovyArcade is. - What made you decide to build your own rather than use GroovyArcade? - Where you able to include xswitchres and all the additional bling GroovyArcade has for CRT monitors? - What is your base distro? Attract mode is in my opinion the most flexible front end for linux and only recent versions of groovy arcade have it. But, those versions are 64bit only & use recent versions of mame. I have older hardware sitting around that works great with older mame. I don't have a CRT right now either so I don't really need groovy or the switchres stuff since i'll be using native LCD res and advanced mame does a decent job of scaling the game anyways. Advanced mame .106 is easy to compile & works great on P3's & older P4's. so I rolled my own distro that I could load on pretty much any hardware. I'm using PCLinuxOS because it lets you create an image of your current install which gives me decent control. I have nothing against groovy I just don't have a need for it right now. That's the power of Linux and the choices we have. Yes, I have the i686 version. So I believe I have the correct one. I do get to that picture, but when it tries to load it, its says it can't find a display on the primary port. On my video card I have two ports, a DVI and a DVI / VGA port. The card/computer sees the DVI port as the FIRST port on the machine. The other DVI / VGA port is the SECOND port. I have my main monitor on the 2nd port because there isn't a VGA option on the first one. Consequentially when starting GroovyArcade to test on my main computer, it is looking for the primary (FIRST) port. However, I do have another machine which I have to set up in which I know the VGA is the primary port because it is the ONLY port on the machine. That is funny, it is on the disc but it wasn't put on the setup menu?!?! Yes, it does look pretty nice, but it looks like it needs some power to run. Would a Pentium 4 be good enough? I have a P4 with an ATI 7600X card on it. Will run on an Atom processor? If so I could use that board I posted earlier I believe that is a 1.8ghz Dual Core, so it should be better than a P4. But my P4 was a 2.8ghz single core. So the Atom would be slower since Mame only runs on one core, right? It is just that the P4 is pretty big for a Mame computer. Thanx for the info thusfar. I am going to test GroovyArcade on my P4 machine now, I will report back later. Ok, I tested the GroovyArcade Live CD on my old Gateway P4 machine. Low and behold, it didn't work. Why am I NOT surprised. This time I manged to get it into the front end and it sees the games and I can scroll through the list of included games, but I select a game and it says 'loading' but a few seconds later it come up with an error message saying that the screen cannot support the resolution. This is after I select LCD, 4:3, and 800 by 600 resolution (and I tried 640 by 400 too) on the video setup. For attract front-end enthusiasts on groovyarcade distro. Go to home folder and change the front-end in the x start-up script. And edit the .xinitrc file to replace advmenu with attract. Here is how it should look. Everything on the GroovyArcade Live CD is very light weight, so I'm assuming a P4 will run the OS, it might just depend on what games you try emulating. What kind of monitor are you using? Can you post what happens after you type the attract command. There should be some log files. I don't know where they are although if you search and post those it will help solving your issues. It wasn't working with the 'free' games loaded into it. I could see the games listed on the front end, but selecting them yielded that error message. A standard run of the mill 17" Dell LCD monitor. On the setup I had selected this. File not found error. I checked in the /Usr/Bin folder where it should be and it isn't there. I guess where I have downloaded GroovyArcade, that version probably doesn't have attract-mode on it. At least that is my guess. But for now I can't even get the included roms to work so that is a bigger issue. Someone would have to point me in the right direction to find those. Ok, I will try that out. Now wait, it is located in Usr/Bin/attract or Usr/Local/Bin/attract? Normally, you don't need to specify the executable path because it is already in the PATH env. variable. Unless you have another binary in previous defined paths.